Chapters Indigo has their Baby Event on now! 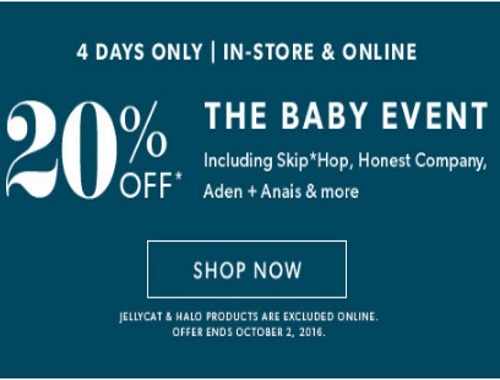 Save 20% off on baby items including Skip*Hop, Honest Company, Aden + Anais and more! Offer is valid in-store and online for four days only through October 2, 2016.